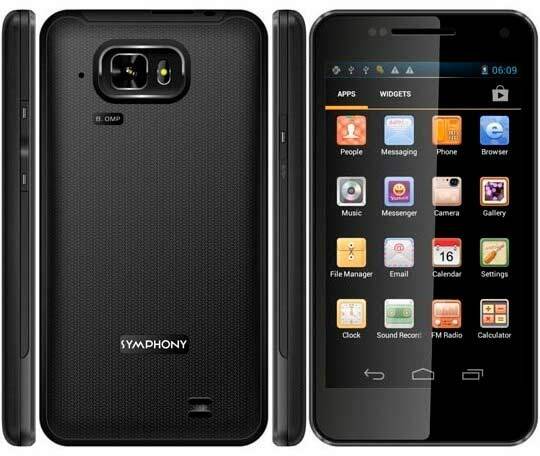 Many Bangladeshis are waiting to buy Symphony W100 because of its latest features and Android 4.0 ICS OS. And Symphony just fulfilled everyone’s wish by releasing it before Eid festival. Symphony Xplorer W100 hit the market today with a healthy price tag of 19,900 taka ($245). I know that many of us believe Symphony could do more for us but it turns out bad for us. But Symphony W100 is the device you are looking for. If any one of you uses W50, then you can easily realize how good Xplorer w100 really is. It has a 1GHz CPU with 512MB RAM. Android 4.0 Ice Cream Sandwich runs all the functionality inside. For your viewing please there is 4.3-inch AMOLED full capacitive touch screen on the front having WVGA resolution of 480 X 728 pixels. W100 also uses powerfull graphics processor like PowerVR SGX531 made my Imagination Technologies. Symphony Xplorer W100 has no lacking in its shooting. A 8 megapixel snapper at the back can capture anything you want. There is also a 0.3MP camera on the front for video calling. I am sure it will be very useful after Teletalk’s launch of Gravity 3G service. W100 has all the connectivity features like GPRS, EDGE, 3G, Wi-Fi, Bluetooth 3.0 and USB. It also has the sensors like Proximity, Accelerometer etc. If you are really interested to buy a cheap Android phone within your budget having all the latest features with large display and quality camera, then nothing can beat Symphony Xplorer W100. And its certain that its demand will be very high at this moment. So you better hurry to complete your purchase before Eid.